For entertaining clients, we specialise in providing corporate packages for trout and/or salmon fishing for parties of up to 18 fishermen (larger parties may be considered). We are now in our twelfth season of offering corporate events and entertainmemt with many of our clients returning annually. We pride ourselves on the personal attention we give each client and can tailor requirements to suit your needs. A complete event package can be put together to include fishing with the exclusive use of the entire fishery; first class friendly tuition and ghillie service throughout the day; catering to your requirements ranging from breakfast on arrival followed by a picnic to a three course lunch with cream tea and evening snack before departure and the fishery is pleased to offer refreshments throughout the day. For those keen fishermen, fishing may continue until one hour after sunset, unlike some other waters where you have to leave by 6pm. All rod and tackle can be provided together with a selection of suitable flies and E.A. 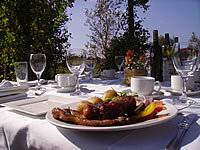 rod licences can be purchased on behalf of your guests. 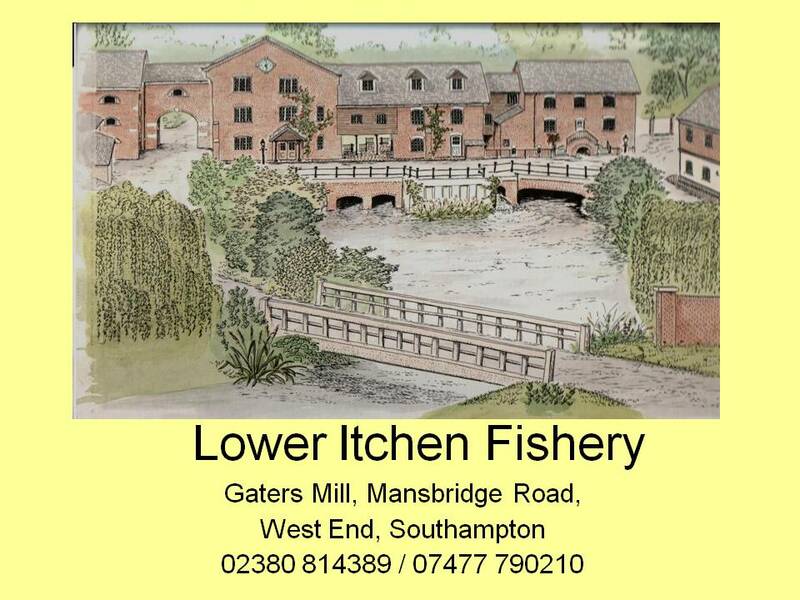 Prices for a corporate event package vary according to individual requirements but are extremely competitive due, in part, to the very fact that we own the fishery and do not, like many other corporate event organisers, have to rent the water from a third party. For a no obligation quote, please contact us on one of the contact points listed. 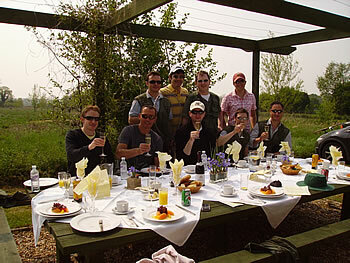 Larger "Cast & Blast" Corporate Days can be arranged with clay pigeon shooting in the morning followed by fishing in the afternoon/evening, all at the same location. "Thanks again for another excellent day's fishing. The attention of your support staff, especially Kevin the ghillie, and the quality of your fishing, food and surroundings makes the day one of our most pleasant corporate events. But more importantly, it has over the years become a firm favourite with our major customers, who are already enquiring about next year's date. Well done again!" "Whilst I expected you to provide the location, the equipment and the catering, I hadn't realised that you could arrange such fantastic sport and glorious weather! What a day we had! I have already had calls from all of our guests complimenting us (and you) on a marvellous event. The day exceeded all my expectations and was entirely due to the efforts of you and your staff. I shall recommend the renewal of this annual fixture..."
"I would like to take this opportunity to express our gratitude to you, Kevin and other ghillies for a truly wonderful day. Everything ran like clockwork, the food was delicious and you all ensured we had every opportunity to relax and catch some fish. The fact that most people actually did catch some fish was the icing on the cake. We had very positive feedback from everyone who attended. In fact one of the party, who lives in New York, has returned for his fourth annual fishing day and this is a true reflection of how highly everyone regards the day." "... thank you and your staff for a superb day. We all shared the view that the quality of the organisation of the day, the food and staff was extremely high and I know that our clients will have found the day both memorable and enjoyable. We will definitely repeat the booking next year."